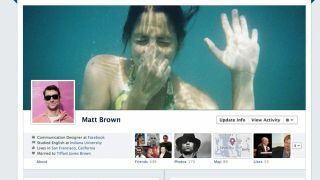 Facebook has sneakily changed the default email address on your profile to your @facebook.com one. So even if you had specifically set the email address you use all the time for everything to show up on your profile, it has been changed to your Facebook address that you probably never use for anything. It's a move that has irritated a lot of people because Facebook did it without asking or notifying anyone. It's all part of a cunning plan to make sure you never leave Facebook ever again. Facebook launched its branded email addresses as part of its Facebook Messages service way back in 2010 – users could have an @facebook.com email address and, if anyone ever uses it, emails are delivered to their Facebook messages inbox. A spokesperson describes the move as one that "gives people the choice to decide which addresses they want to show on their timeline", wilfully ignoring the fact that most people were already showing the address they wanted on their timeline and now have to mess about changing it back. To do so, go to your settings page, then edit 'Contact Info' – here you can choose to hide any and all email addresses from your timeline.